Becky's life is blooming! She's working at London's newest fashion store The Look, house-hunting with husband Luke (her secret wish is a Shoe Room)... and she's pregnant! She couldn't be more overjoyed - especially since discovering that shopping cures morning sickness. Everything has got to be perfect for her baby: from the designer nursery... to the latest, coolest pram... to the celebrity, must-have obstetrician. But when the celebrity obstetrician turns out to be her husband Luke's glamorous, intellectual ex-girlfriend, Becky's perfect world starts to crumble. She's shopping for two... but are there three in her marriage? Offering as an international bookring. Arrived today. Thanks for sharing Aunt-Sophie. Look forward to reading this. I got two books first though. Thanks. I liked the book and needed this "chic lit" type reading. Thanks for sharing! Perfect for a grey raining november day. Thanks ! On its way to redfloor. I'm looking forward reading this book. It looks like it's great for the holidays. That was great!. 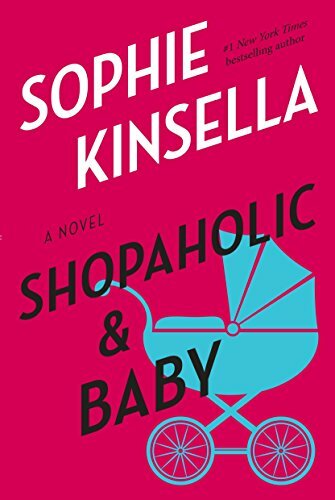 Sophie Kinsella is in my opinion one of the best chicklit-writers. I had fun reading it even though the book is pretty predictable. I'll send it to Margih as soon as I have her adress. Thanks redfloor, Shopaholic & Baby have arrived to Tampere, Finland :) Can´t wait to start read the book but I have 2 books to read first! It arrived some days ago and I alread readed it! I liked verry much and diffrently of the other Shopalolic books, that got a litle boring some times, this book was great. I´m sending for AuburnCaMom´s address. Arrived safely in the US a few days ago and I've already started on it. Thanks for including me! Finished. About what I expected. Not the greatest piece of literature around but a quick easy read. Will pass it along as soon as I have an address. Just received this book in today's mail. I can't wait to read it! Thanks for including me in the ring! This was a quick, easy, fun read. I actually read it on my way to vacation in England so I especially LOVED all the English and London references. It was a wonderful way to kill an 8 hour flight and really get into the English state of mind! Thanks for letting me be a part of the ring. I have messaged kellyhp to get her address and will send this along just as soon as possible. Thanks again!